We have won a number of local school contracts in the past so have plenty of experience. We are happy to work together with school staff and even pupils as we are fully CRB checked and extremely trustworthy. Matt Francis Painters and Decorators are reliable and always meet deadlines on projects no matter what budget you have and as the South Wests Leading decorating company its always to a high professional standard. 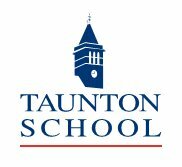 We aim to build long standing relationships with all our schools and college projects/contracts and have worked for a few schools for over 10 years such as Kings Hall in Taunton. If you are currently looking to painting and decorating company big enough to deliver but small enough to care than look no further than Matt Francis Schools/College decorating and painting service! Get in touch today for a free quote.